I guess I consider myself an avid photographer, and I have been told I take some pretty amazing shots. What I wasn’t good at was selecting my first camera. They were all so darn expensive, and while I knew what I wanted the thing to do, I couldn’t for the life of me figure out which one to get. It took me over 5 months to decide. In the end I got what I was hoping for, but let’s not kid ourselves, I was just lucky. I’m a little more camera savvy these days, but I wish back then they had Measy.com. Measy is like having a gadget guru in your family, one you can talk to right before you buy a new smartfone, e-reader, HDTV, netbook, DSLR, printer or video camera. Measy.com gathers ratings and reviews from some really respected sources and then via a short quiz about some of the more important aspects of what you’re looking for, Measy makes recommendations using those reviews coupled with your quiz answers. What you are seeing here is a “death-ray” made by gluing 5,800 tiny mirror tiles to a fiberglass satellite dish. According to my Source, it is powerful enough to “melt steel, vaporize aluminum, boil concrete, turn dirt into lava, and obliterate any organic material in an instant”. Believe it or not, it was built by a 19-year-old named Eric Jacqmain who wanted to prove how powerful the sun’s energy is. Okay, point taken! Unfortunately, Jacqmain’s invention failed because it was destroyed by a shed fire that was started by its own energy. Jacqmain says he want so build a more powerful version with 32,000 mirrors in the future. Will that be more powerful than the sun? What you are seeing here is an excellent justification for putting guns on the Parrot AR.Drone. These two guys put fireworks guns on this mini RC tricopter here. You absolutely have to watch the video after the jump to see what came next. The fireworks guns are roman candles that are triggered by a bit-switch. Once these two guys let loose the mini RC tricopter, they targeted some balloons filled with hydrogen. In case you aren’t aware, hydrogen makes balloons float better than helium. You’ll notice that when they are hit with a spark, it creates an explosion better than Star Wars or Die Hard. Did you ever wonder why the Egyptians built the pyramids? It wasn’t because the desert was too boring, but they were tombs for the pharaohs. In the case of this particular concept design known as Lunar Cubit, these pyramids could be built for the purposes of solar energy. Lunar Cubit is the winning entry in Land Art Generator Initative, a contest in the United Arab Emirates (UAE) made for designing green energy installations that look really nice. Pentel has something extremely interesting up their sleeves this time around, where what they are offering is definitely different from what you would expect. 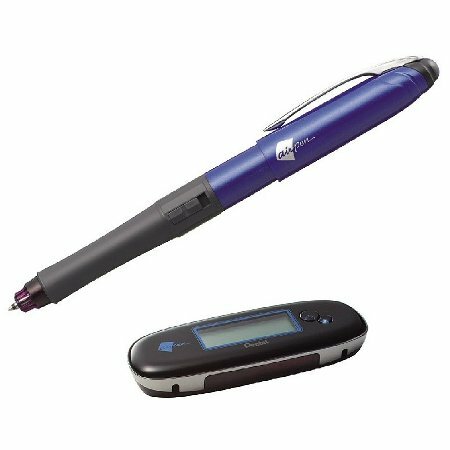 Instead of the business-as-usual stationery, along ambles the airpenPocket digital pen. Yup, by its name alone, you can tell that this is definitely something more than special. Just what the heck is the airpenPocket, you ask? For the uninitiated, this is actually a digital pen which is capable of wirelessly transmitting characters as well as images it draws on paper to a computer. To know what kind of technological wizardry lies behind this writing instrument (or rather, inside its chassis), you might as well hit the rest of the post. If you are one who takes your gaming seriously, then the Rude Gameware Fierce Laser Gaming Mouse is definitely something you might want to look into, if you have decided to forsake other more notable names such as Razer and its offerings. The Fierce Laser Gaming Mouse is already in its second iteration, which means the original is now cheaper if you are one who can live with older technology, so to speak. 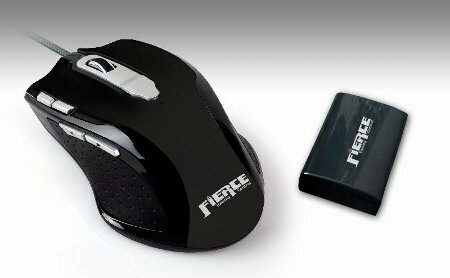 What makes the Fierce Laser Gaming Mouse so special? For starters, it will come injected with proprietary, performance-enhancing components, resulting in Rude Gameware proudly announcing that its abilities has improved by leaps and bounds – to more than 60%, actually. You will just have to peek into the extended post to know how far this gaming peripheral has come since its predecessor. When it comes to HDTVs as well as other flat screen displays, surely you would not have heard of JAOtech but rather stuck with the traditional names such as Sony, Panasonic, Samsung, LG and Mitsubishi among others. JAOtech, isn’t that well known among the consumer circles simply because it is the leading manufacturer of bedside Smart Terminals for hospitals. Having said that, JAOtech has prepared itself to unveil the world’s first large screen ultra-thin medical LED TV that comes complete with a built-in computer, targeting specifically at healthcare applications such as patient entertainment and clinical access. Known as the 40” Inix, it will hit North America at HIMSS 2011 in Orlando, Florida from February 21st – 24th.